In addition to caring for patients, Dr. Langston has an active academic career with interest in teaching medical students and residents, and furthering the field of urology. 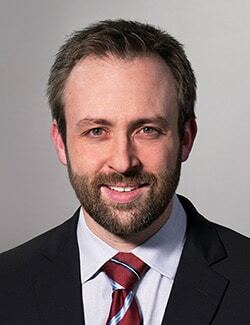 He is the author of numerous book chapters and peer-reviewed journal articles focusing on Men’s Health and his particular interest in health policy. During medical school, he was the co-founder of a student-run free medical clinic, which continues to run successfully, now in its tenth year. During training he served as the President of the UNC Housestaff, was among the first trainees to be inducted into the UNC Academy of Educators, and received the American College of Surgeons Leadership/Advocacy Scholar Award. He was winner of the American Urologic Association National Chief Resident debate in his final year, was the recipient of a Resident Scholar award from IVU Med for sponsorship to perform surgery in Haiti, and twice served as keynote speaker at the National Youth Leadership Forum on Medicine speaking on the topic of leadership and the future of medicine. While in the UK, Dr. Langston was selected to participate in the Executive Mentoring Program sponsored by NHS England for doctors with special interest in executive leadership in medicine. Outside of work, Dr. Langston enjoys spending time with his wife and daughter and traveling.